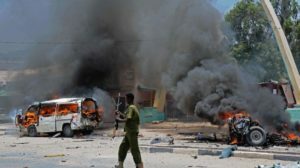 At least seven people lost their lives Sunday outside capital Mogadishu after a bus carrying farmers, mostly women, was a hit by a roadside bomb, reports say. A minibus was the target of attack which occurred in Daniga village about 40 km to the northwest of Mogadishu according to Reuters. The area is not controlled by the Somali government which has been wrestling with Islamist insurgents; al Shabaab, the al Qaeda-linked groups. The passengers were mostly women farmers. The death toll could go higher, a senior military officer noted adding that the minibus was carrying 10 passengers but it was difficult to get details. The Sunday attack death toll adds up to last week-end truck bombing which made over 350 people dead, in the worst ever attack witnessed by the fragile country. 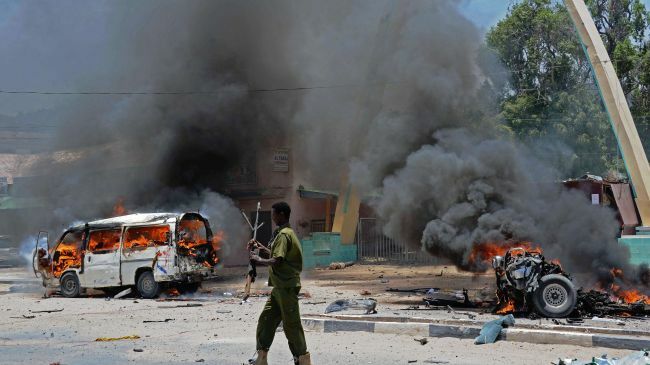 Al Shabaab has been blamed for the attack which security officials and international ally countries believe is result of security apparatus failure to fight the insurgents, competition and secrecy among agencies gathering intelligence, Reuters reports.